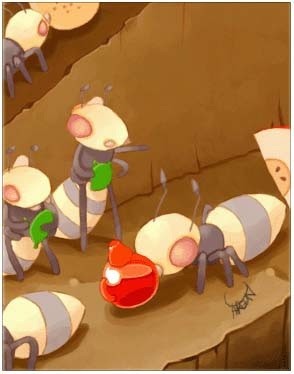 One of the common ants, whose main duties are building and defending in a large area, collecting food, feeding young ants and queen. Its upper jaw is advanced and huge that can crush hard food and become a weapon when defending the group. The interests of the ants are supreme for them!